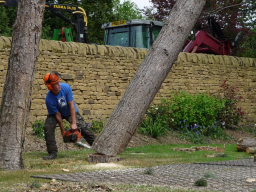 Commercial And Domestic Tree Surgeons Mirfield Tree Services is a Mirfield based tree surgery company serving Wakefield, Huddersfield, Leeds & Bradford. The company places a high value on professionalism and quality workmanship. All work is carried out by NPTC certified arborists, and to industry standards (BS3998:2010 The British Standard Recommendations for tree work). 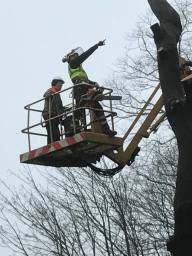 Mirfield Tree Services carries full public liability insurance. Testimonials are curated by Mirfield Tree Services and are not independently reviewed or verified. "James and his team came round to clear the conifers at the bottom of our garden and we were very pleased with their professionalism, speed and quality of work. Would recommend them without a doubt." 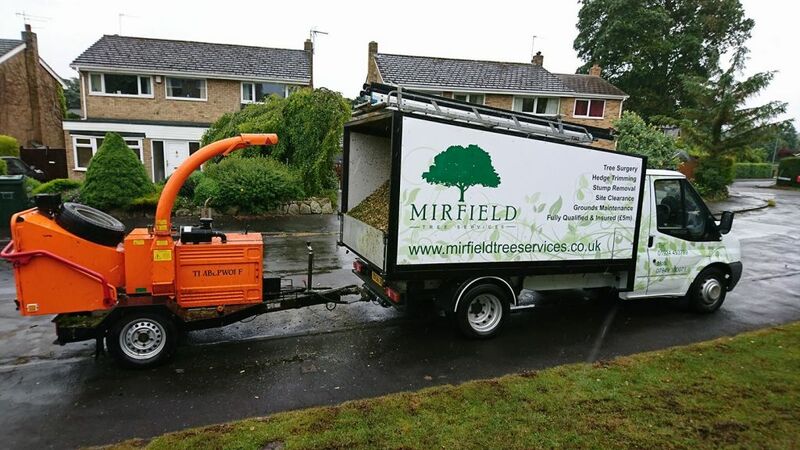 "Having used Mirfield Tree Services twice in the past, we were, once again delighted with the efficient and professional way the job was completed. The tree and hedge work was carried out to our exact specifications leaving our garden neat and tidy." "Cracking Job. Many Thanks :)"
"Mirfield Tree Services reduced and thinned-out the crown of a large cherry tree. They were quick, efficient and tidy. They maintained the tree's shape so we are very pleased with the result. Would definitely recommend them."